Emerging T.O. 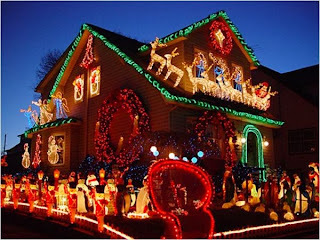 : House Shopping at Christmas: A Good Idea? House Shopping at Christmas: A Good Idea? Most of the time, the two months that are the slowest in Toronto real estate, with regard to the number of real estate transactions, tend to be August and December. Makes sense, doesn't it? August is hot and many people are on holidays. December is busy with Holiday festivities, visiting, family, friends, shopping, or escaping Christmas for sunnier options. Does that mean it's a bad time to buy or sell? Well, that's where "it depends" comes in. In August, though there may be fewer buyers looking, there are also fewer sellers selling. So, you have less people looking at your home, but you are competing with fewer listings as well. Some August properties that have not sold in the rush of Spring sit on the market until August and can be ripe for the pickings, ideally at a lower price. Of course, even though they may be a lower price, there could be a very good reason why no one wants to buy that house. Still, this isn't always the case. I bought my first house in August, a house that was not very popular at the time because you had to go through the washroom to get to the back yard. When I told friends who were also looking at the same time about my purchase of the house, they remembered going through the house themselves. At one point, they coined it the "wait-in-the-backyard-until-I'm-finished" house. Luckily, I fixed that unusual quirk, and by the time I sold it five years later, I didn't have that layout any longer. December is a different month than August though. It's true that some properties in December are ones that did not sell in the Fall and are still sitting on the market. Like with August, those properties may be have some serious hang ups, be overpriced, or just do not show well. It can be an opportunity. This year has been a little unusual. As we approach Christmas, the bidding wars have still been going strong. There is still a lot of demand for houses, and little inventory hitting the market. This is why houses have had the greatest appreciation this year compared to the previous 4 years, up around 8% over the last year in the 416 area. Regardless, I'm pretty sure we'll see a nose-dive in the number of new homes hitting the market, and buyer interest due to the Holidays, next week. I'm still shocked, though, that some sellers and their agents still put out new listings over the Holidays. Some argue that a number of cultures do not celebrate any of the religious/commercial holidays at this time of year. Why not list a property? People often have time off work to go and see properties, after all. The thing is, there are a lot of people who are celebrating or visiting this time of year, and they won't come and see your new listing. Even the unreligious and the commercially displeased, sometimes leave town for a vacation. So, for the next two weeks I'm pretty sure a seller won't be maximizing his or her potential on the market with so many distracted buyers unwilling to come and look, despite the buyer interest right now. If you are a seller ready to list, and you want to maximize your time over the Holidays, then use this time to prep for a 2014 launch of your home. It will be worth the wait!